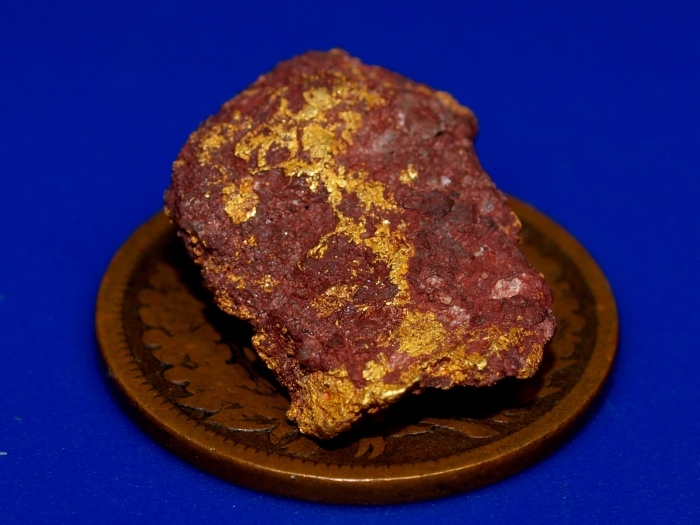 This beautiful piece of raw natural gold recently found by a prospector in the Bradshaw Mountains of Arizona. 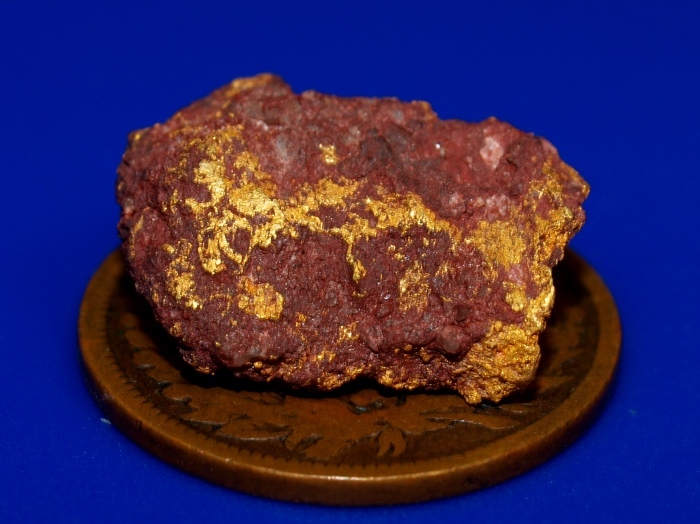 It weighs 4.05 grams and has a beautiful mix of dark red iron-stained quartz and gold matrix. This piece is heavy in the hand; there is a solid lump of gold underneath that quartz. 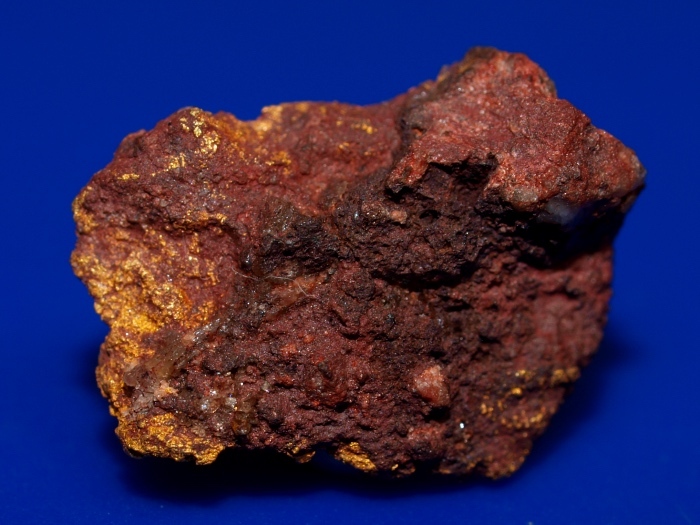 The color contrast is really interesting and it will make a fine addition to any serious mineral collection. The penny in the photo is for size reference only. It will ship for FREE and comes in a nice display case.